A new political party, Sikkim People’s Alliance (SPA) emerges in Sikkim. The party has been launched at Ranipool in East Sikkim on Wednesday. The party has announced its ad hoc body with MK Subba as the chief convener and Bhanu Pratap Rasaily as the president. This is the second political party floated this month in the state. Recently, independent MLA, RN Chamling launched his political party, Sikkim Rajya Manch on December 7 in a public meeting at Shreebadam in West Sikkim. The ad hoc body of SPA also has Manish Raj Shrestha as vice-president, Pema L Sangderpa as general secretary, Peter Chettri as treasurer, Karma Tenpa Bhutia as convener [North Sikkim], Dil Hang Limboo as convener [West Sikkim] and Reuben Limboo convener [East Sikkim], Karan Silwal as convener [Sikkim Students’ Alliance] and Karma Yenten Chakapa as convener [Sikkim Youth Alliance]. It is informed SPA will provide a modern nationalist approach for Sikkim’s cause, distinct identity, culture and ethnicity duly enshrined in the Constitution of India through Article 371F. It is added that the party aims to provide positivist socialism with value freedom, create a rational and ethical society for moral progress of humanity, to create a secular free thinking base with anti communalism and anti racism ideals. “Our primary objective is to establish a people’s party and not a party that belongs to a handful of sycophant whose only objective is to rob the state and indulge in dirty caste based politics,” the leaders said. The party has announced to go to the people with its policies and programme by April next year. The party has urged youths to come forward for the state and its people. 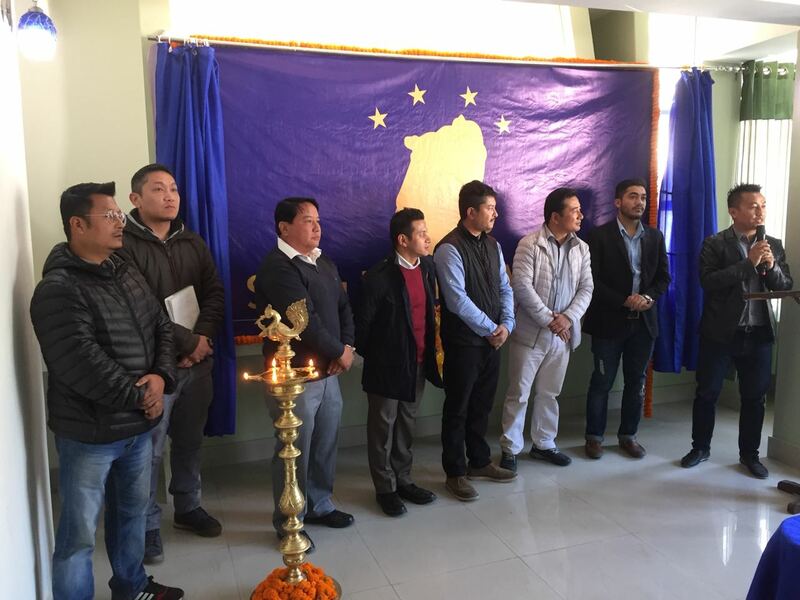 It may be mentioned that recently Sikkim Chief Minister Pawan Kumar Chamling’s younger brother RN Chamling floated a new party called Sikkim Rajya Manch at a public meeting at Sribadam in West Sikkim. He said his outfit will strive to work for change of both the government as well as the system. Chamling junior also came down hard on his elder brother alleging that the Chief Minister was surrounded by chamchas (sycophants) and moneybags.